A huge game in the race for the title takes place at Selhurst Park on Sunday as last season’s champions Manchester City take on Crystal Palace at 2:05pm in the Premier League. The visitors currently occupy second spot with eighty points and a game in hand over league leaders Liverpool, whereas Palace are way down in twelfth with thirty-nine points eleven clear of the bottom three and seven from the top half of the standings. Roy Hodgson’s men have been in turbulent form over the past five games, losing three and winning once during that time, keeping two clean sheets with both arriving in those wins. 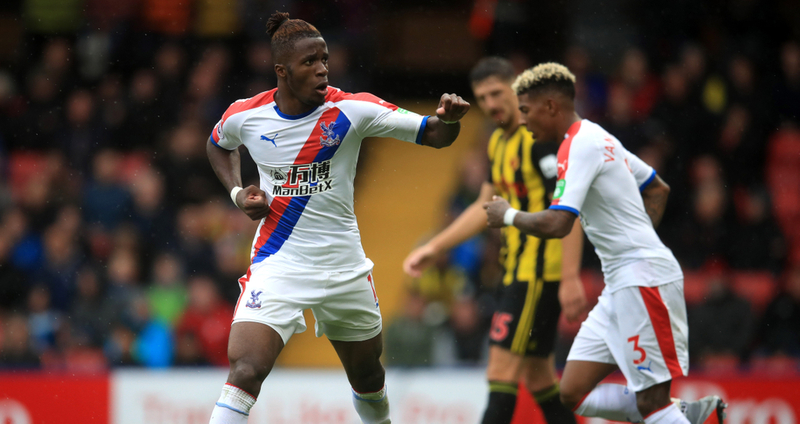 After suffering defeat at the hands of Brighton on home soil in their second outing of March, Palace were then beaten by Watford away from home in the FA Cup by two goals to one as the Hornets progressed to the semi finals of the competition thanks to goals from Etienne Capoue and Andre Gray. Then came the visit of Huddersfield, where the bottom side were defeated 2-0 in a result which confirmed their relegation from England’s top flight. Palace’s first match of April came at the Tottenham Hotspur Stadium’s grand opening, and the scoreline read 2-0 in favour of the home team at the end of the ninety minutes. In their most recent clash, Palace were beaten by Newcastle by a solitary goal. Luka Milivojevic has scored more goals than anyone else at Crystal Palace this season with eleven to his name so far, ten of which have been scored from the penalty spot. The Serbian has bagged three in his last five and never looks in doubt when stepping up to the spot, with the 28-year-old on the verge of breaking the record for most penalties scored in a single Premier League season. Behind him sits Wilfried Zaha with eight to his name, his last coming in the victory versus Burnley in the beginning of March, while James McArthur is the man with the highest amount of assists thus far having created five goals for others. Pep Guardiola’s men are well and truly in with a chance of doing the quadruple this season, having already won the League Cup and after progressing to the FA Cup Final following a tight win against Brighton in the semi finals of the tournament. They are right behind table toppers Liverpool and have won four of their last five, with each of their last two league fixtures going their way by two goals to nil, first at Craven Cottage versus Fulham and more recently when hosting Cardiff City thanks to goals from Kevin De Bruyne and Leroy Sane. A 1-0 beating of Brighton in the FA Cup succeeded that result through a header from Gabriel Jesus after four minutes, while their most recent encounter came in the Champions League against Spurs, in which they were defeated 1-0 as the home team netted in the second half with a strike from Heung-Min Son. 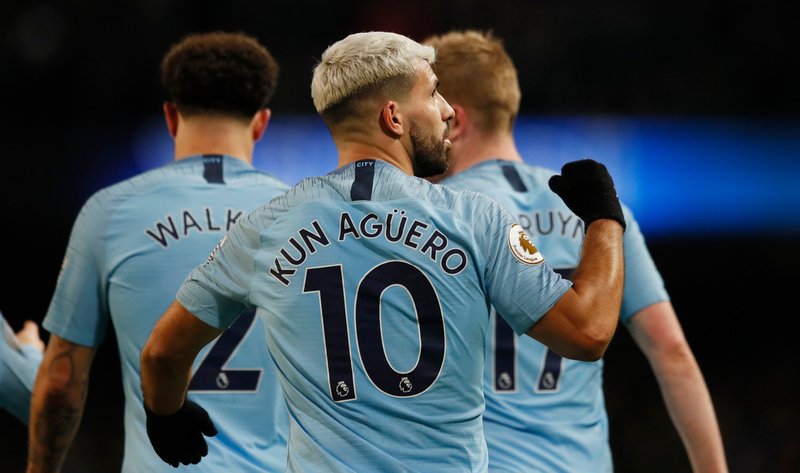 Sergio Aguero has been immense for most of this campaign, bagging nineteen goals for himself so far in the league, four more than fellow attacker Raheem Sterling and ten ahead of Leroy Sane. The Argentine forward is an injury doubt for this one however due to an ongoing hamstring problem, though his importance to this side cannot be underestimated as he he scored four times in his last five appearances for the Sky Blues. On the assists charts, it’s Sterling and Sane who remain joint at the top as both wingers have supplied nine goals for others up to now, two more than Aguero has amassed this season. Fabian Delph is another injury concern for this clash.